Scientists at the James Hutton Institute have discovered that the pathogen responsible for potato late blight manipulates the plant’s growth and development to boost its infection process. The fungal-like pathogen, phytophthora infestans, secretes a protein into the plant called AVR2, which targets the plant’s mechanisms responsible for normal growth and development. This protein, or ‘effector’, can have an impact on the plant’s growth and immune response, allowing infection to spread further through the plant, according to the institute. Dr Eleanor Gilroy, a molecular plant pathologist at the James Hutton Institute and co-author of the study, said: “There are communication signals between growth and immunity systems in plants, allowing the plant to direct resources where they are needed most. 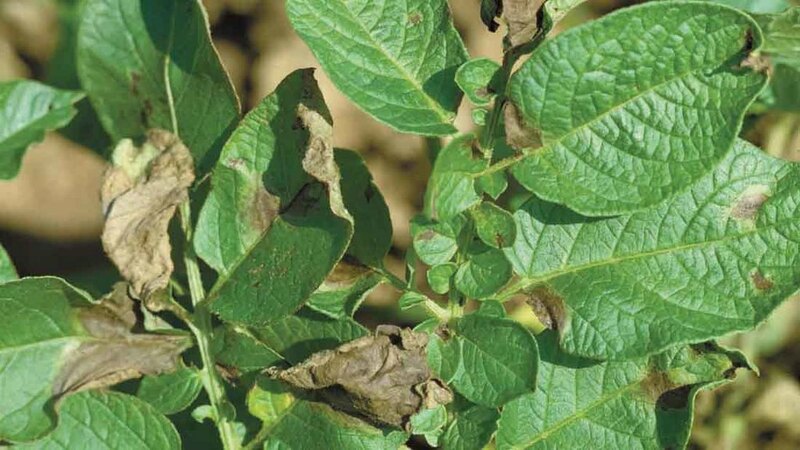 “The late blight pathogen has evolved to exploit this communicaton link, tipping the balance in favour of growth so that disease can progress while the plant’s defences are low. The role of effectors like AVR2 is not yet fully understood by scientists. Pathogens secrete them into plants during infection, and the interaction between effectors and plants may open further avenues to research crop pests and diseases responsible for enormous global food crop losses each year, says the institute.